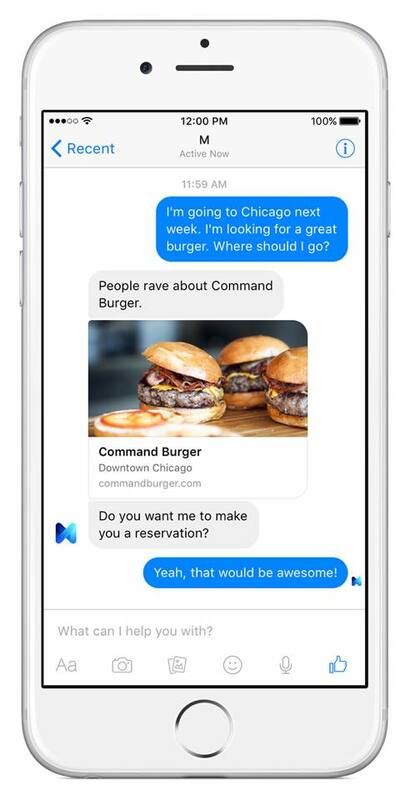 The announcement comes from Facebook’s VP of Messaging Products David Marcus who describes M as a personal digital assistant inside of Messenger that completes tasks and find information on a user’s behalf. What’s more, the service is powered by artificial intelligence that’s trained and supervised by people. Marcus also notes that M is still early in its journey to become an at-scale service. In the future, the service aims to help people on Messenger get things done so they can focus more time on the important things in their lives. While M is currently being tested by a limited number of people, it is definitely an interesting concept and a technology for Web pros to keep their eyes on. Not only could this service make everyday tasks easier for consumers, but it could also be beneficial to businesses as it will have the ability to turn up results for local business searches, help consumers find gifts and more.